Smart Contract arbitration is a must-have for every Smart Contract used in serious business relationships. 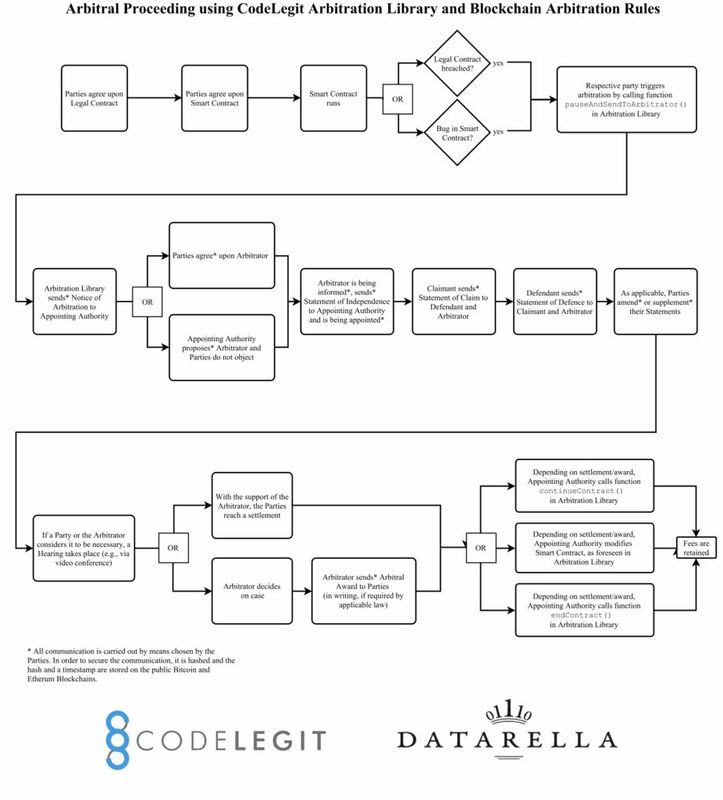 CodeLegit has found a solution to automate the access to arbitrators. Every real-life relationship between two or more parties contains a source for conflicts or midunderstandings. Where a Smart Contract shall be used to map real-life relationships, those Smart Contracts must be ready to cope with such conflicts. The times are over where software developers believed in the community to solve problems by praying for hard forks. Companies which use Smart Contracts for their daily business require a reliable solution in case conflicts arise. But how can our library help solve conflicts? 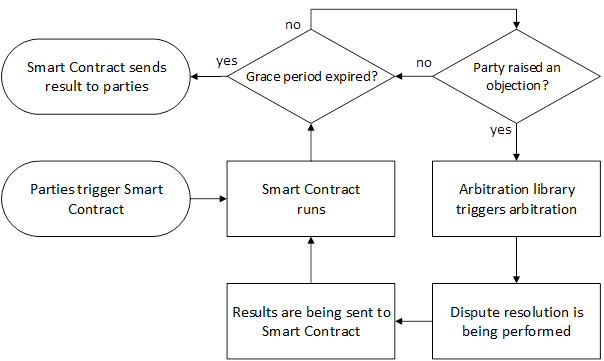 The follwing sketch shows that the library implements a grace period in the code of the Smart Contract. 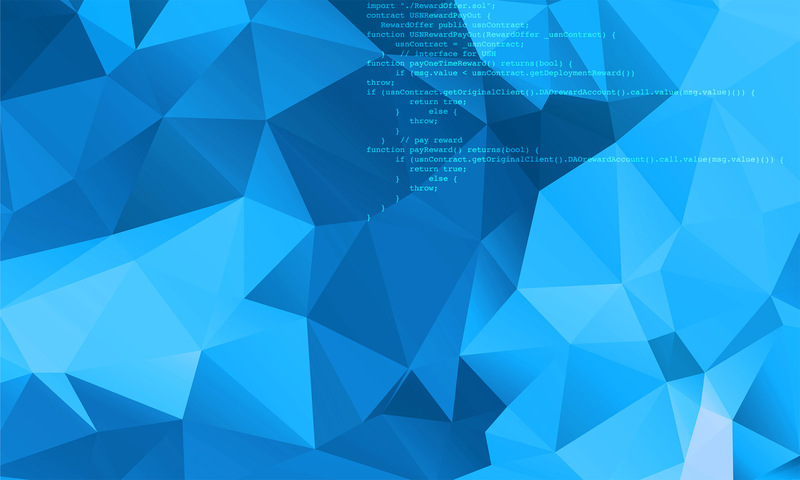 This grace period pauses the execution of the Smart Contract for a given period of time. Should no party object, the Smart Contract finalizes its execution. Should, however, a party raise an objection, the case is forwarded to an arbitrator, together with all the relevant information (we will explain separately how we do that). Afterwards, the arbitrator decides on the case and the Smart Contract continues its execution, guided by the decision of the arbitrator. During the time the arbitrator decides on the case, the execution of the Smart Contract is also paused. The pausing mechanism important to understand, because only the pause prevents the Smart Contract from creating accomplished facts (remember that rescinding Smart Contracts is even more complicated). Am I as a company limited in my Smart Contract design when using the library? Not at all. The library contains various configuration parameters and can be adapted to the personal needs of the respective relationship. The above sketch only shows one possible path which may be a very common one. Read in our next blog post how to agree upon a legal arbitration clause when using CodeLegit’s arbitration library.